These are Data Loggers which can be configured to take inputs of RTD Pt-100 Sensors, Any thermocouples, Voltage or Current (MA) Signals. Data Loggers (recorders) have a direct printer port which can be connected to a 80 Column Dot Matrix Printer without using a computer. The Instrument can be programmed from the front keys to print the data of all 8 Channels at any time interval.This means that the print time between successive printouts is user programmable from 5 secs to 9999 secs. Ebro Humidity Temperature Data Logger Data Logger EBI-20TH1 is a combination humidity & temperature data logger with 40,000 Records memory. 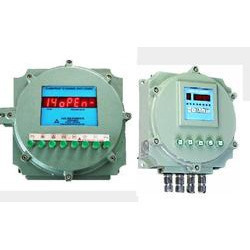 It is a battery operated data logger with integrated display & built in NTC temperature sensor. 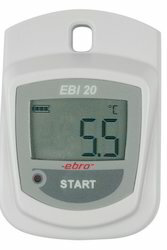 The Ebro Data Logger EBI-20TH1 has a wide temperature measuring range of -30 to +60 Deg. C with class leading high accuracy of +/-0.5 Deg.C & humidity measuring range of 0 to 100% R.H. with an accuracy of +/-3%. 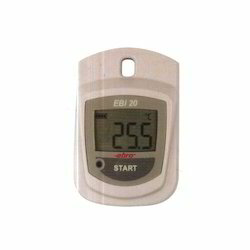 The Ebro Data Logger EBI-20T1 is IP52 rated & works on 3.6 Volts Lithium Battery & weighs only 45 grams. The Ebro Data Logger finds extensive use in Pharma, Bulk Drugs, Clean Rooms, Validation kits, green houses, fishery & food industry. Ace Instruments makes 16 Channel Universal Input Data Loggers can be configured to take inputs of RTD Pt-100 Sensors(Temperature),Pressure( 4-20 mA), Humidity (4-20 mA) Temperature from Transmitters (4-20 mA), any Thermocouples, Voltage or Current(mA) Signals. Applications: Pharmaceutical industry, Water pumping station, Iron and steel industry, Chemical industry, Petroleum industry etc. The Data loggers (recorders) have a direct printer port which can be connected to a 80 Column Dot Matrix Printer without using a computer. The instrument can be programmed from the front keys to print the data of all 16 Channels at any time interval. This means that the print time between successive printouts is user programmable from 5 secs to 9999 secs. The printout includes the date, time, channel no. & its value. Additional features include universal input selectable from front key, i.e., each channel can be independently configured for any kind of input. Thus, a single instrument can be used to record temperature, pressure, vacuum, flow, pH, conductivity on different channels of the same instrument. The instruments have a RS232 / RS485 Computer communication port & come with the trusted Datalog 16 V3 Data Logging /recording software with Online Tabular View, Data Graphing & Excel Sheet Reporting. All 16 Channels Programmable between RTD Pt-100 3 Wire (Temperature), Pressure (4-20 mA),Humidity (4-20 mA), Temperature from Humidity ,All Thermocouples, 0-1 V.D.C. 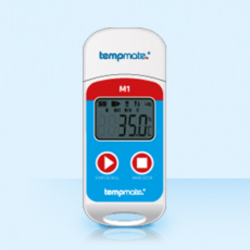 The Tempmate M1 Data logger sold by Ace Instruments is one of the best data loggers for temperature recording with internal or external temperature sensor, multi function display and automatic PDF report generation.The PDF report created contains detailed information such as data curve, every single measurement as a table and statistical information. The new tempmate.®-S1 V2 single use temperature data logger sold by Ace Instruments has an integrated USB port and PDF & CSV generating software on-board, so no further software or hardware is required to connect the logger and read the recorded temperature data.tempmate.®-S1 loggers are specially designed for temperature monitoring in any cold chain logistics. As a pre-programmed device tempmate.®-S1 can be instantly used to monitor your temperature sensitive consignment. The automatically created PDF and CSV report, containing detailed information such as data curve, every single measurement as a table and statistical information. 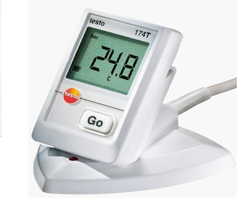 The mini temperature data logger testo 174T sold by Ace Instruments is ideal for continuous monitoring of storage temperature, for example of food or pharmaceutical products. It is also suitable for temperature control in refrigerators or cold stores. Elitech Temperature RH Data Logger is mainly used for temperature recording during storage and ocean/air/highway transportation of foodstuff, medicine, chemicals and other products. -30ºC to +60ºC;in the low temperature environment, LCD displays slowly, while it has not an impact on the normal measuring nor recording. Once the temperature recovers, it could display normally. In normal temperature, if the record interval sets as 15 minutes, it could be used above one year. ºC or ºF optional, set through RC-4H data management software. 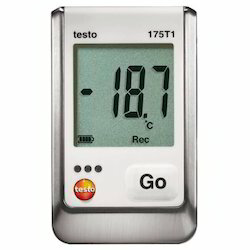 Single Channel Temperature Data Logger from Testo, is ideal for monitoring storage temperatures and long-term monitoring. It is certified for use in food environments and measures and logs temperatures constantly and reliably. 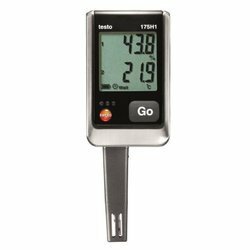 Testo Single Channel Temperature Data Logger display provides you with a wide range of valuable information including current measurement values, threshold values, points where these thresholds have been exceeded, min/max values and remaining battery power. And because all these values can be read off directly from the display. In addition, the data logger also has a supersize memory, which can save up to 1 million measurements, and an exceptionally long battery life of up to 3 years. Single channel data logger gives you the freedom to read out the logger data at longer intervals, even when measuring cycles are shorter. The triple AAA batteries included in delivery can be replaced by the user. 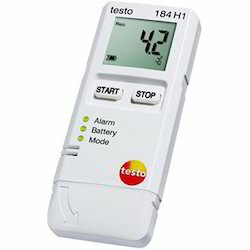 Testo 174H Temperature and Humidity Mini Data Logger sold by Ace Instruments , is compact, accurate, reliable which measures and logs the air temperature and relative humidity in storage rooms and offices continuously with interruption. 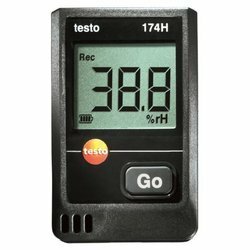 Testo Temperature and Humidity Mini Data Logger allows you to monitor temperature and humidity sensitive goods including foods, archives or metal parts that are susceptible to surface rust or carry out discrete humidity checks in buildings. The Temperature and Humidity mini data logger has built-in long life sensors that can measure the temperature and humidity of the surrounding environment, a memory for upto 16,000 measurements and an easy-to-read display that shows the current reading as well as any breached thresholds. Temperature USB Data Logger can store data by plugging the module into a PC's USB port and running the supplied PC software. Temperature USB Data Logger measures and stores up to 32,000 temperature readings. 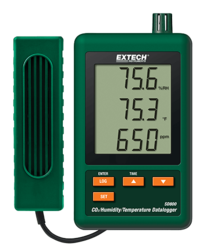 Temperature USB Data Logger measures and stores up to 32,000 temperature readings. The user can easily set up the logging rate, high/low alarm and start-mode, and download the stored data by plugging the module into a PC's USB port and running the supplied PC software. Temperature data can then be graphed, printed, and exported to other applications. The data logger is supplied with a long-life lithium battery, which can typically allow logging for one year. This meter is shipped fully tested and calibrated and, with proper use, will provide years of reliable service. Humidity and Temperature data logger is a convenient, easy-to-use logger for monitoring temperature and humidity levels during cold chain transportation or other applications. With configuration, reports, and calibration certificates on-board, the 184 makes transport monitoring and documentation of sensitive goods easy. Humidity and Temperature data logger is as simple as plugging into a USB port, and customizing the included PDF file. Humidity and Temperature data logger gives accurate measurement of temperature from -20 to 70°C and humidity from 0 to 100% RH. Its large, easy-to-read LCD display shows readouts in real time. Its LED status lights alert when specified limits have been exceeded. Humidity and Temperature data logger holds up to 64,000 readings that can be downloaded on to a computer via the integral USB port. It is a plug play data logger with auto pdf report generation. With clear indication of configurable alarm settings, including measurement frequency, temperature, or humidity range, as well as start and end times, ensuring proper cold chain transportation has never been easier. For international shipping, different languages can be independently configured for recipient or shipper. USB Temperature data logger from Elitech is mainly used for temperature recording during storage and ocean/air/highway transportation of foodstuff, medicine, chemicals and other products, especially widely used in all kinds of warehousing, logistics and cold chain, such as refrigerated containers, refrigerated trucks refrigerated package, cold storage, laboratory, etc. ±0.5 °C (-20???~+40???) others:+1 ??? 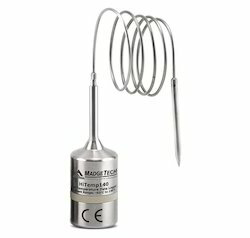 High Temperature Data Logger from MadgeTech, is a rugged, high precision, high temperature data logger that is built for use with autoclaves and harsh environments. 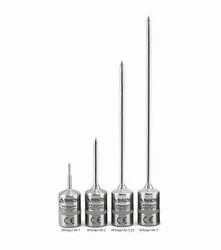 High Temperature Data Logger from MadgeTech is a stainless-steel temperature data logger built for use in harsh environments such as autoclaves. It is submersible, can withstand temperatures up to 140 °C (284 °F) and has an accuracy of +/-0.1 °C (0.18 °F). 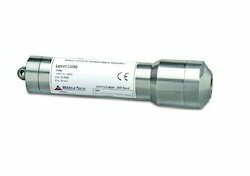 Autoclave Data Logger from MadgeTech, with a 24-inch Bendable Probe. The HiTemp140-PT datalogger is a rugged, submersible, temperature data logger that can operate up to 140 °C (284 °F) and has an accuracy of +/-0.1 °C (0.18 °F). The device features a 24 in flexible stainless steel probe with either 1 inch or 5-inch sheath, depending on user preference, which can be used for measuring extended temperatures up to 350 °C (662 °F). The probe is durable and can be spiralled, bent or angled in any direction, making it easy to log temperatures in hard to reach places. 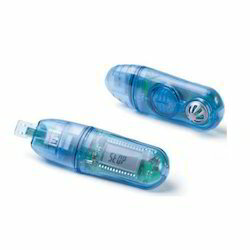 Autoclave Data Logger records date and time stamped readings, and has non-volatile solid state memory. Exports to Saudi Arabia, Middle East, Africa & European Countries. High Temperature Data Logger from MadgeTech, with Thermal Shield capable of withstanding temperatures of up to 250 °C. MadgeTech make High Temperature data logger housed in a thermal shield, the combined features of the ±0.1 °C accuracy and the properties of the durable thermal shield allow the device to be used for a wide range of validation applications. This rugged system can be placed in and withstand temperatures from -200 °C to +250 °C (-328 °F to +482 °F), making it ideal for use in autoclave validation, monitoring food processing and dishwasher testing. High Temperature Data Logger is fast and easy to setup. Remove the thermal shield and place the HiTemp140 into the IFC400 docking station (sold separately). Using the software, an immediate or delay start can be chosen, as well as the reading rate. Select Start to program the settings and start the data logger. SUPCO SL400TH Data Logger provide concise measurements for critical environmental conditions. It is widely used in temperature and Humidity sensitive. Windows™ 98SE, ME, 2000, XP, Vista and 7 Compatible with 32 and 64bit system. 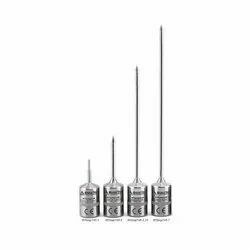 LogEt6 is a single use temperature data logger with an internal NTC thermistor. The simple design and IP65 protection make LogEt6 a perfect choice for most cold chain management processes. Every Elitech LogEt6 has an easy to read LCD screen display, a single use 3.6V lithium battery that lasts for 2 years and simple to use data management software. With 4 different customizable alarm settings, our LogEt6 provides flexible ways to monitor, ship and store temperature-sensitive products. Obtaining recorded data has never been this easy. With Elitech LogEt6, you can download data in PDF format via the USB port. RC-51H is temperature and humidity data logger RC-51 is temperature data logger. 7. 2 years' battery life. 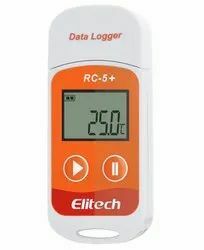 Elitech RC5 + Temperature Datalogger is mainly used for temperature recording during storage and ocean/air/highway transportation of foodstuff, medicine, chemicals and other products. It features a plug-and-play USB port interface and allows for faster access to data collected in any cold chain management process. Applications: Warehousing, logistics and cold chain, such as refrigerated containers, refrigerated trucks refrigerated package, cold storage, laboratory, etc. 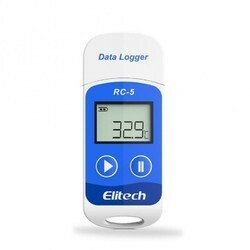 Elitech RC-5 Temperature Data Logger is mainly used for temperature recording in storage and transportation of foodstuff, medicine, chemicals and other products. 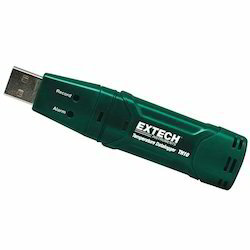 To achieve faster data analysis on any Elitech USB data logger, you can export data in PDF/Excel via data management software. Alternatively, you can use the multi-function LCD. Typical Applications: Warehouse, cold chain, refrigerated compartments, refrigerated trucks. 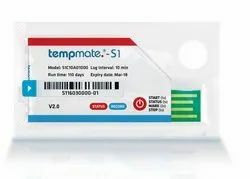 Tempnote Lite dataloggers are designed for cold chains monitoring during transit.This lite weight data logger is integrated with inbuilt USB & Plug-N-Play features for auto regenerating PDF reports without requiring additional Hardware or software. 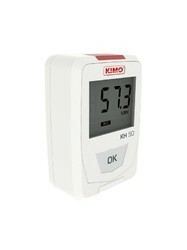 Application Vaccine freezer, Ships,Marine,Food Industries,Cold chains etc..
KIMO KT50 Mini Data Logger sold by Ace Instruments displays 2 units i.e. °C, °F, it has 2 setpoint alarms on each channel. KIMO KH50 sold by Ace Instruments displays 2 units i.e. °C, °F, it has 2 setpoint alarms on each channel. 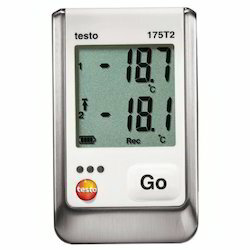 Testo Two Channel Temperature data logger has an internal sensor and a connection for an external temperature probe. Temperture data logger is ideally suited for used to record the indoor air temperature, also want to carry out another temperature check. It measures the ambient conditions of goods in storage areas and cold stores and at the same time check the temperature level of the goods themselves. · The temperature probe is securely fitted into the data logger. · Temperature data logger is an NTC sensor with a high level of measuring accuracy (±0.5 °C). · The internal temperature probe’s measuring range goes from -35 °C to +55 °C. · Temperature data logger can also be easily used in cold stores or deep-freeze rooms. 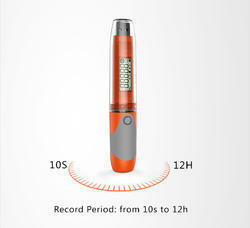 · The external temperature probe’s measuring range goes from -40 °C to +120 °C. · The accuracy and measuring range of the NTC probe, which is an optional attachment, depend on the probe model selected. 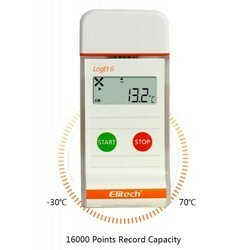 Elitech LogEt 8 Food cold chain multi-use PDF temperature data logger is an IP65 grade reusable data logger designed for food cold chain management process. Equipped with a highly sensitive internal NTC thermistor, our LogEt 8 Food cold chain multi-use PDF temperature data logger can record even the slightest change in temperature of 0.1°C. 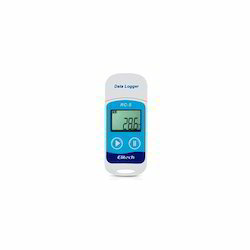 Every Elitech LogEt 8 Food cold chain multi-use PDF temperature data logger tracks the temperature changes in real-time during shipping or storage. Its log interval ranges from 10 seconds to 24 hours, depending on the settings. To access a detailed PDF report of your data, our LogEt 8 Food cold chain multi-use PDF temperature data logger comes with a USB port. In no more than 4 minutes, you can download and print the report. 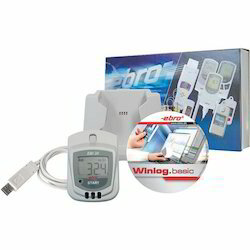 It displays all the process on the data logger’s LCD screen display. 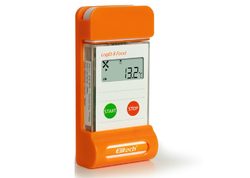 Elitech LogEt 8 Food cold chain multi-use PDF temperature data logger is made from an impact resistant material to withstand rough handling and to last longer. With 4 different customizable alarm settings, our LogEt 8 Food cold chain multi-use PDF temperature data logger is a perfect choice for any cold food chain management process. SD800 Monitors air quality in schools, office buildings, greenhouses, hospitals and anywhere that high levels of carbon dioxide are generated. Selectable data sampling rate of 5, 10, 30, 60, 120, 300, 600 seconds or automatic. Maintenance free dual wavelength NDIR (non-dispersive infrared) CO2 sensor. Triple LCD simultaneously displays CO2, Temperature and Relative Humidity. Complete with six AAA batteries, 2G SD memory card, universal AC adaptor, and mounting bracket. MicroLite USB data logger is a vital tool for monitoring and recording a variety of data. Microlite USB Data Logger is available in 6 models, offering a unique plug and record data logger for every application and helping organizations maintain the highest standards throughout the cold chain. Real-time sensor readings with corresponding time stamp are clearly displayed on the logger’s LCD screen, incorporating alarm thresholds. The Microlite USB Data Logger is designed for low power consumption to extend battery life and reduce the time between battery replacements. EBRO make Data logger for temperature monitoring of transports, refrigerators, warehouses, server rooms, Productions rooms, pharmaceutical room validations, etc. The data logger save this temperature and time values that can be evaluated on the PC later, using a 21 CFR Part 11 Compliant Software. EBRO make Data logger for Temperature is extensively used for monitoring of transport refrigerated vehicles, containers, refrigerators, warehouses, server rooms, Productions rooms, Pharmaceutical clean rooms, validations, etc. The data logger save this temperature and time values that can be evaluated on the PC later. 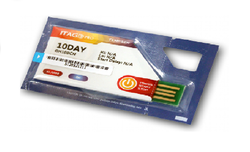 USB Disposable Temperature Data Logger is a single use data logger. It is used in food, medicine and other perishable products cold chain logistics especially for large-scale use. Disposable data-loggers provide customers with convenient, fast and safe operation of accurate data of temperature. 1. Temperature records for the entire cold chain logistics. 4. Accuracy of +/-0.5 Deg. C.
7. PC software simulation of the over temperature with red or green lights. 8. Dual bar code labels. Accuracy ± 0.5°C(-20 to 40"C ); ±1°C(others). 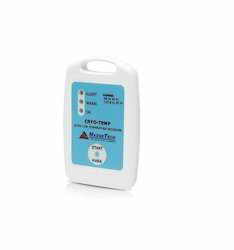 MadgeTech make Ultra Low Temperature Data Logger Model Cryo-Temp records Temperatures as low as -86 °C. Utilizes a USB Docking Station to communicate with a PC for configuration & data download. The Cryo-Temp can be used in a broad line of applications such as monitoring blood plasma, vaccines, pharmaceuticals, frozen foods and shipping containers. The Cryo-Temp provides date and time stamped temperature readings and uses the MadgeTech Data Logger Software. The user can view the data in graphical or tabular form. High and low alarm limits and high and low warning limits can be programmed through the software. 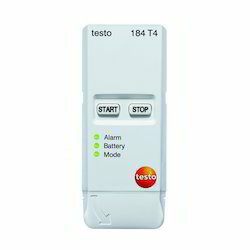 The user can set the alarm limits in the range required for the goods to be maintained. The warn limits can be set to alert the user when the temperature is nearing a high or low alarm limit. The Cryo-Temp is equipped with three LEDs. The green LED will blink every 15 seconds while the recorder is logging. The yellow LED will blink every 3 seconds when the temperature has breached the warning limits. The red LED will blink every 3 seconds when the temperature alarm has been breached. The Cryo-Temp is the ideal temperature monitoring solution for any application involving low temperature data logging. Single Use Temperature Humidity USB PDF Recording Indicator.This series data loggers are developed to monitor and capture temperature or humidity excursions in pharmaceutical, biological and clinical trial supply chains.With TempSen’s advanced measurement technology, user could easily have a reliable monitoring results accurately reflecting the supply chain environmental conditions. Easy-to-read LCD indication presents key information for immediate decision making, the compact and lightweight design also enables it fits into any limited spaces. 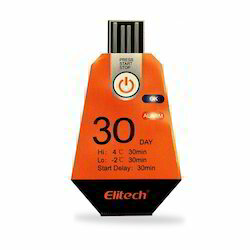 Elitech(UK) Disposable USB Temperature Data Logger URC-12 is a single data logger.It is used in food, medicine and other perishable products cold chain logistics especially for large-scale use disposable data-logger providing customers with convenient, fast and safe operation of accurate data. Single Use Temperature Humidity USB PDF Recording Indicator.This series data loggers are developed to monitor and capture temperature or humidity excursions in pharmaceutical, biological and clinical trial supply chains.~Single Use Temperature Humidity USB PDF Recording Indicator.This series data loggers are developed to monitor and capture temperature or humidity excursions in pharmaceutical, biological and clinical trial supply chains. With TempSen’s advanced measurement technology, user could easily have a reliable monitoring results accurately reflecting the supply chain environmental conditions. Easy-to-read LCD indication presents key information for immediate decision making, the compact and lightweight design also enables it fits into any limited spaces. Data Logger with storage medium is non-volatile solid state memory,providing maximum data security even if the battery becomes discharged. Submersible Data Logger can be started and stopped directly from your computer and its small size allows it to fit almost anywhere. The Level1000 makes data retrieval quick and easy. Simply plug it into an empty COM or USB port and our user-friendly software does the rest. Temperature and Humidity Data logger measures, monitors and logs the temperature and relative humidity in buildings and closed rooms. It can monitor the indoor climate in buildings, storage facilities and archives and help create a comfortable climate in the workplace. 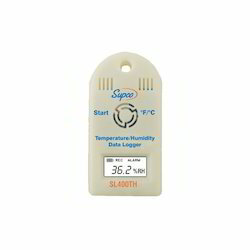 Temperature and Humidity data Logger comes with an external humidity sensor (stub) for shorter reaction times and a lock to prevent it from being easily stolen or tampered with. Temperature data Logger is a convenient, easy-to-use logger designed with a very low temperature range for use monitoring goods shipped with dry ice. Temperature data logger has all configuration information, reports, and calibration certificates on-board making use of the logger simple. It has a temperature range of -80 to 70°C with an accuracy of up to ±0.5°C. 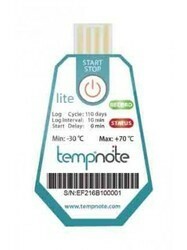 Temperature Data Logger is as simple as plugging into a USB port, and customizing the included PDF file. With clear indication of configurable alarm settings, including measurement frequency, temperature range, as well as start and end times, ensuring proper cold chain transportation has never been easier. The unit stores up to 40,000 readings that can be downloaded onto a computer via the integral USB port. In order to obtain detailed information, it is sufficient to connect the logger to a PC – a PDF report is immediately generated with all relevant data. 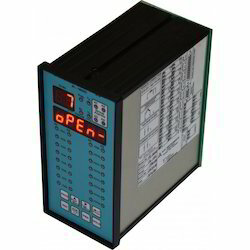 The interface (write-read unit) is required to program the data loggers. This interface is connected to the PC and supplied with power from there by means of the Universal Serial Bus (USB cable). We are engaged in manufacturing of Flameproof Data Loggers for the Pharma & Bulk Drugs industry for use in Hazardous Areas. Special Software for 21 CFR Part 11 compliance as per USFDA norms for the pharmaceutical industry also available with full features of Audit trail, uneditable reporting, time stamped data, Admin & User specific operation permissions, etc. In the array of Battery Operated Data Loggers, we offer devices in various models and technical specifications. These devices are employed in various industrial segments to record various data. Designed incorporating advanced technology and quality-tested components, our battery operated data loggers are reckoned for low power consumption.